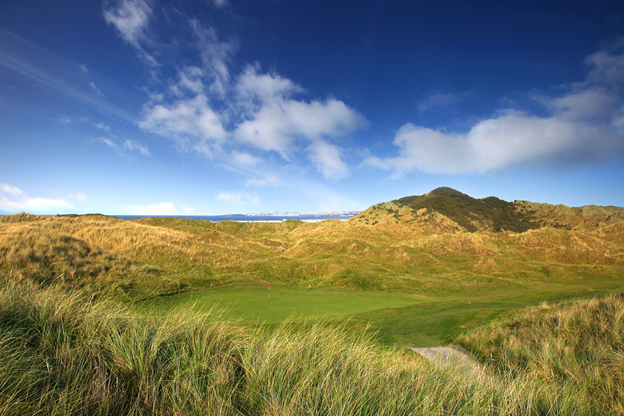 18 hole Par 73 Located in the seaside village of Castlerock this fabulous Links plays through undulating sand dunes along the River Bann. An ideal retreat in which to play golf. 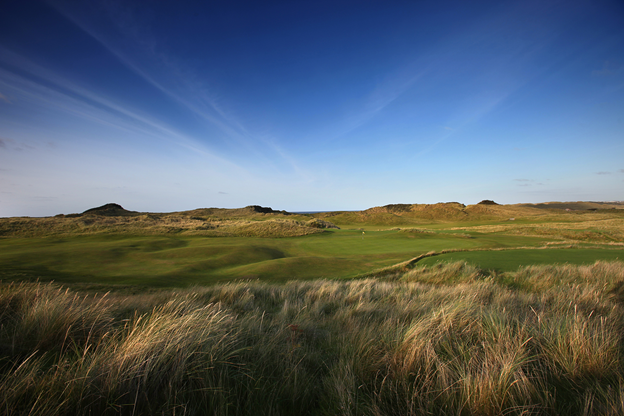 Additionally the 9 hole Bann course has widened the appeal of the Club and contains a par-5 which has been described as "one of the most scenic holes in Irish golf.". Dunluce Links (18 hole Par 72) has hosted the Senior British Open on numerous occasions and a few members have gone on to achieve great success like Fred Daly who won The British Open in 1947, Graeme McDowell 2010 US Open champion, Padraig Harrington three time major winner and Darren Clarke with 18 Tour victories to date. Valley Links (18 hole Par 70). 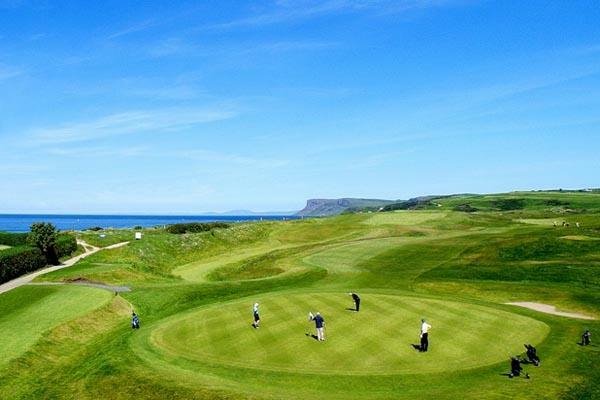 There are three courses offering 54 holes of golf spectacularly set on Ulster's famous Causeway Coast with something for every golfer. 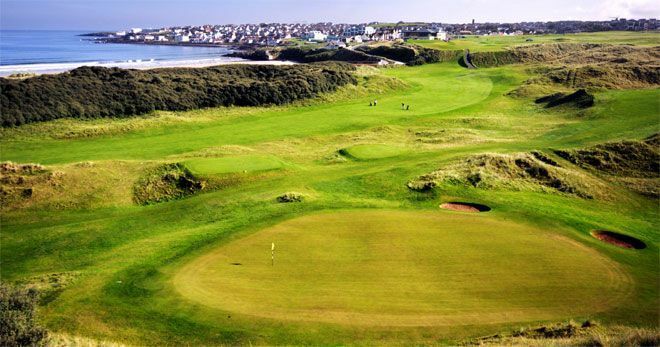 The Strand (Championship Course - 18 hole Par 72), The Riverside (18 hole Par 68) & The Old Course (18 hole Par 64). 18 hole Par 72 Gracehill Golf Club is considered to be a top ten Parkland golf course in Ireland. 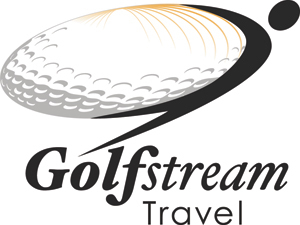 Situated outside the village of Stranocum near Ballymoney, golfers have the opportunity to taste American Style water hazards and mature woodland. 18 hole Par 71 Many Golfers may not believe that this course blends links and parkland golf together. The first five holes play along the riverbanks of Margy and Carey and then you can enjoy the remaining holes that play along the beach. The panoramic views of Ballycastle Bay, Rathlin and the Mull of Kintyre ensure an enjoyable experience. 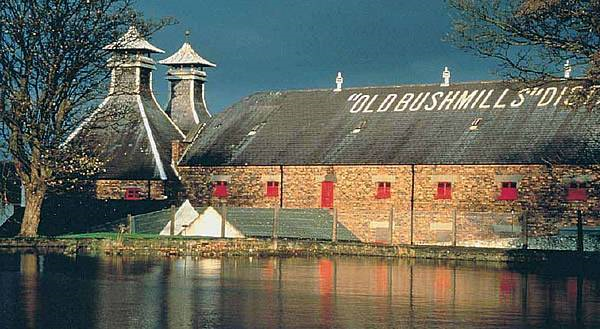 The oak-beamed Loft with its fireplace "snug" is the gateway to the Mill House on the banks of the River Bush. Here these spacious and creatively designed guest rooms, discretely accommodating modern technology, all have their own sitting room area, small dressing room and, of course, private bathrooms. 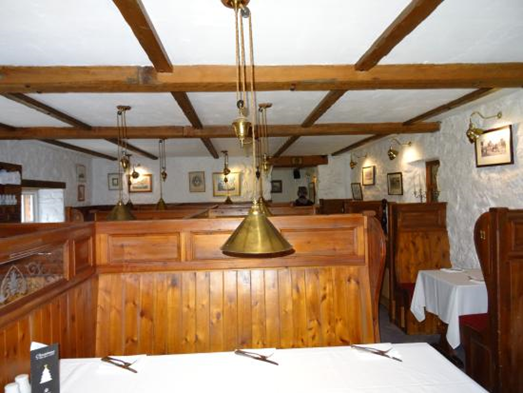 There are two family rooms adored by children - they climb a ladder to a mezzanine area with two full sized beds. Because of the ladder it is not suitable for young children. Pets - In consideration of all potential guests no dogs or pets are permitted in guest bedrooms. Guide dogs for the blind are welcome. The accommodation comprises 41 sumptuous guest rooms and suites, many with views extending over the River Bush and are beautifully appointed. Amenities include a treatment room offering luxurious massage treatments, a private 30 seater cinema, meetings and events suite, a heli-pad, a patio for Al fresco dining and an acre of private lawns sweeping down to the River Bush. 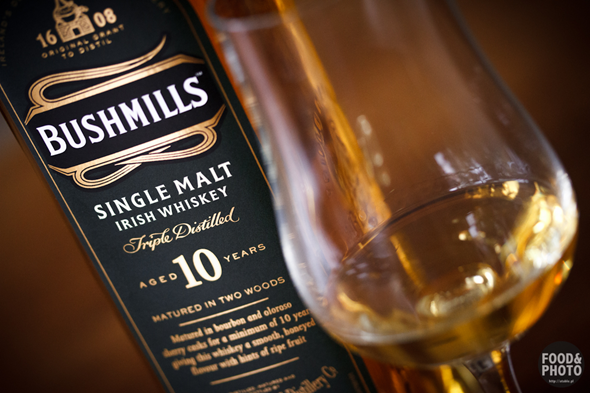 At The Bushmills Inn, we believe that cinema going should be a memorable experience - a proper night out in luxury surroundings. We couldn’t find this anywhere else, so we created our own. For a unique experience, The Still Room offers private theatre seating for 30 people in style and comfort. This impressive space features rich claret tiered seating, luxurious suede hand pleated wall drapes and the latest high definition projection. It can play host to a wide range of events including screenings, product launches, corporate presentations, cinema parties and live sporting events. 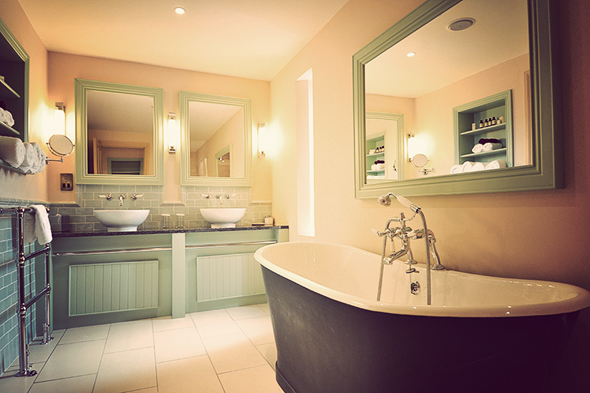 The St. Columb’s Rill Relaxation Room is a must for any guest wanting get away from it all. Withdraw from the world and surrender to your therapist’s expert touch as you experience luxurious massage treatments. After exploring the Causeway Coastline, why not pull up a chair and exercise your taste buds instead. 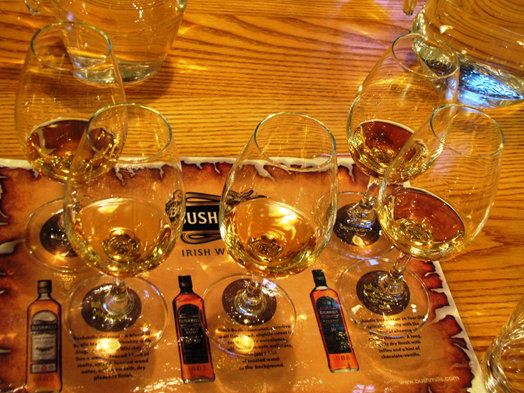 Each dish is crafted from traditional roots, but with a Bushmills twist. 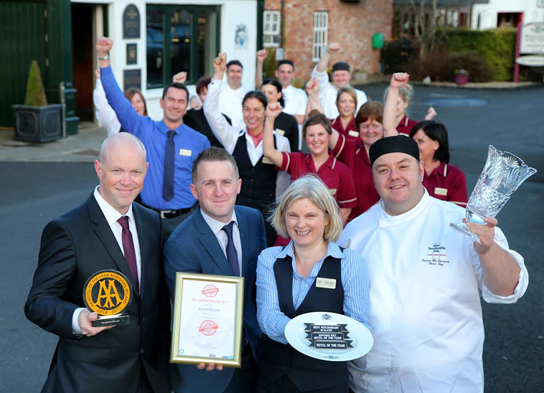 We endeavour to source local produce where possible, bringing you a true taste of Antrim. Our fish are all caught in local waters while our pheasant once roosted in the Macnaghten estate. Sample our mature prime Ulster sirloin of beef, which has featured on the menu since the day we opened. Alternatively try our signature Dalriada cullen skink (above) - before indulging in something a little sweeter. 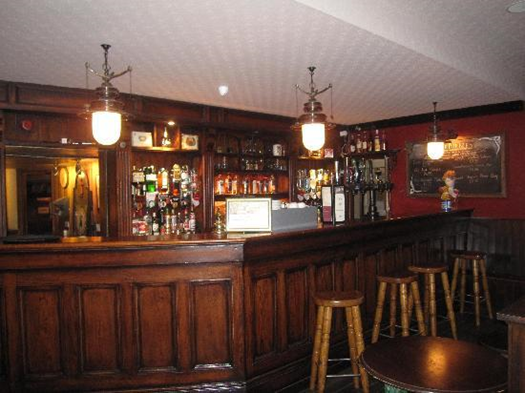 One of Ireland’s most well known, luxurious four-star hotels, The Bushmills Inn is situated in an enviable location a stone’s throw from a host of visitor attractions including Royal Portrush Golf Club, Old Bushmills Distillery, The Giant’s Causeway, Carrick-a-Rede Rope Bridge and Dunluce Castle. 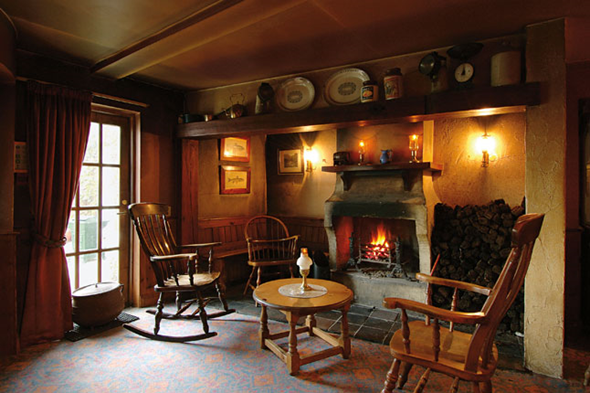 Roaring peat fires, nooks and crannies and a secret library set the tone. In the bar, still lit by gas light, try a glass of malt from the hotel’s private cask and make sure to sample some of the finest North Antrim produce in the AA Rosette restaurant. Whether you wish to linger by the fire, partake in water sports on some of the finest beaches in Ireland Ireland , hike in unspoilt countryside or play golf on some of Ireland’s finest courses Bushmills Inn is the ideal location.